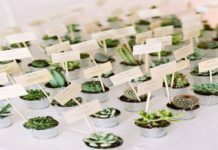 Welcome to Today’s Weddings Edible Favors List! 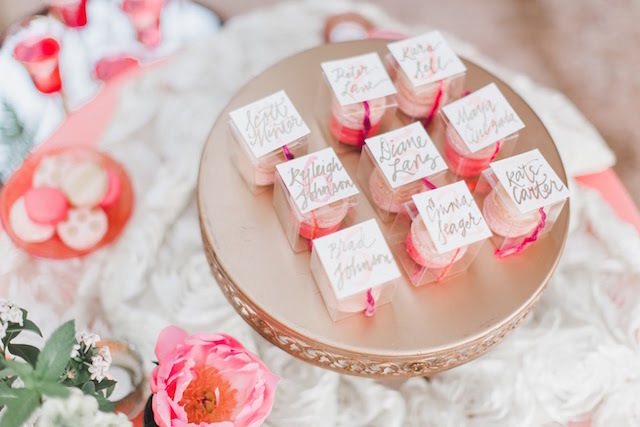 Browse through the list of edible wedding favors to get ideas, and when you decide on your favor, stop back and add yours to the list! to bless our beginning as Mr and Mrs. Description: We are doing candybars with personalized wrappers. I made the wrappers myself on Print Shop. His mom works at Nestles and she gets candybars for a box of 24 for $5. 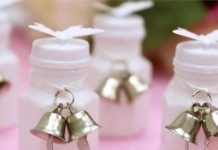 So over all our favors should be tasteful and usually something everyone can enjoy along with something that is very cost efficient. Overall I think the favors shouldn’t cost me over $20 for 100! Description: We bought 2″ clear boxes. We are going to fill them with hershey kisses and tie the box with black ribbon. Their place card will be attached. Description: Chocolate lollipops in the shape of wedding cakes, bells and hearts, tied with the ribbon of the same color as the brides maids dresses with our names and the wedding date written in gold on the ribbon. Description: I took flat 2″ wooden hearts and spray painted them the color of my wedding (burgundy). I then glued our ribbons to the back making a loop at the top and crossing the ribbon on the back. (It can be hung like an ornament.) On the front I glued a small teddy bear(brown plastic bear)facing a chocolate kiss. I made about 110 of them for under $70.00. All materials came from a craft supply store. 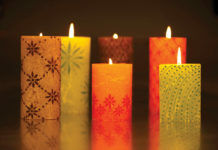 Description: They are suckers shaped like rings and wrapped in pretty iridescent paper and tied with a bow. Description: My favor is going to be a star shaped sugar cookie with white frosting on it. Then I will add blue and red sprinkles on top of the frosted sugar cookie. I am having an Independence themed wedding. Description: Sunflower shapped white chocolate with a yellow coloring and milk chocolate center. The chocolates and tags were handmade by friends of mine and place in a plastic bag. Description: We didn’t want to go to a lot of expense for our favours, and wanted something that wouldn’t simply be left behind. So we make up favours with 5 Jordan almonds wrapped in tulle edged with a bluey/green ribbon (colour of bridesmaids). We also made up some favours with chocolate liqueurs wrapped in the same tulle, and then alternated the two favours around the tables. They looked great – the pastel colours of the almonds, the colours of the foil were wrapped in showed through the tulle, giving some colour to the table, and there were none left behind at the end of the night. Description: Small 1 oz heart shaped bottles with maple syrup that my parents make inside. There was a small tag tied on that had our names and the date of our marriage. Description: I used a heart shaped candy mold box and some small wedding candy molds in the shape of glasses, bride and groom and fans etc. to put in the box after it was molded. I got the molds and the candys in the bulk food section at my local grocery store. Description: We have personalized fortune cookies and wrapped them in colored tissue and put them in chinese take-out boxes wrapped with satin ribbon.